As profiled by MileSplitUSA Editor Cory Mull today, Roisin Willis's 800 Meter performance on Sunday was nothing short of extraordinary. In fact, it ranks among the greatest freshman performances in the half mile in US history. Already on several watch lists heading into the season, Willis has show that her middle school marks and freshman cross country season were hardly farcical. After showing incredible range as junior high athlete - 26.11/56.78/2:14.45/4:59.18 in the 200/400/800/1 Mile (all outdoor) - she has now ran under 2:10 in the 800 twice in her first outdoor season. Since 2000, only four freshmen girls had ever broken 2:10 in the 800 and on Sunday, Willis became the fifth, just missing the freshman class record by 0.43 seconds. The Stevens Point Wisconsin native torched a star-studded field which included the Napoleon sisters of Thomas Worthington, Gia and Carina, who, behind Willis's US No. 2 time, ran US No. 4 and 7 times with their respective 2:09.31 and 2:10.25 marks, Gahanna Lincoln's Madison Martinez also ran a US No. 11 2:11.94, but has also broken 2:10 before. Twenty total girls broke 2:20, including several Canadians led by The Gazelles' runners Aleeya Hutchins (2:08.82, 2nd place) and Cassandra Williamson (2:11.10, 5th place). Wisconsin was on fire this weekend as Wausau West senior Brooke Jaworski also brought the noise from The Badger State to the SPIRE Institute. She was able to defend her title in the girls 400 meter dash, outlasting Pickerington Central's Jaydan Wood in a time of 54.59. This was .20 seconds off the facility record she posted in 2018. Jaworski has steadily been rising among the top female long sprinter/hurdlers in the country. She is coming off an outdoor season in which she earned WIAA state titles in the 400 meter dash and 300 meter hurdles. She also earned a berth on the U20 World Championships team in the 400 meter hurdles. She put that prowess on full display Sunday with an impressive indoor season opener. Finishing just behind Jaworski was Ohio's top 400 runner Jaydan Wood. Her 55.42 was her third straight mark under 56 seconds and third straight season best. She continues to drop time as she looks to repeat as state champion in the event this March. In third was Motor City Track Club (MI) freshman Chloe Vines, who's 56.63 puts her fourth in the country among the Class of 2022. Tuslaw's Ke'Aijhan Strong (56.77) and Lakota East's Danni Stoughton (56.95) rounded out the top five as all five girls were able to break 57 seconds. 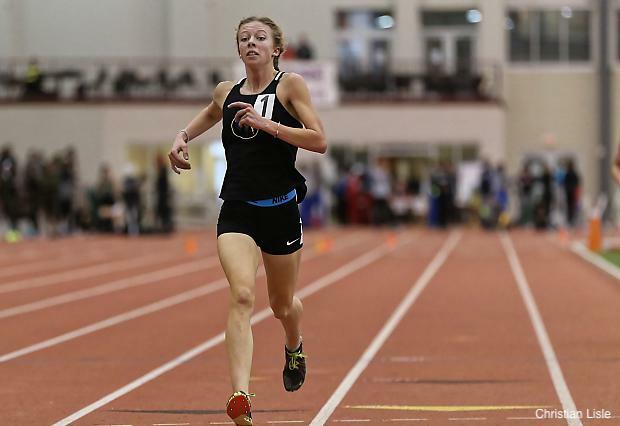 Indiana's Emma Wilson made headlines in December after deciding to forgo her IHSAA eligibility to compete in her final high school season unattached. 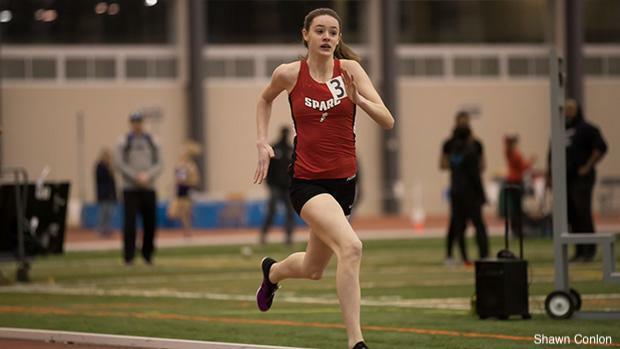 After opening her indoor campaign with a win in the 3K at the Indianapolis Collegiate Challenge, Wilson continued to shine on the SPIRE track this weekend. In fact, she became the first individual to break 10:30 in the 3200 meter run this winter, running a US No. 1 10:27.53. Not only was it a US No. 1 time, but it was one that came in a nearly 27 second victory. University High (WV)'s Zoe Shetty finished second in 10:54.22. Shetty finished second at the West Virginia state championships this fall, but was unable to keep pace with Wilson on Sunday. Much like the several Dustin Horter records, we also did not expect any of Abby Steiner records to be sniffed just one year after her graduation. 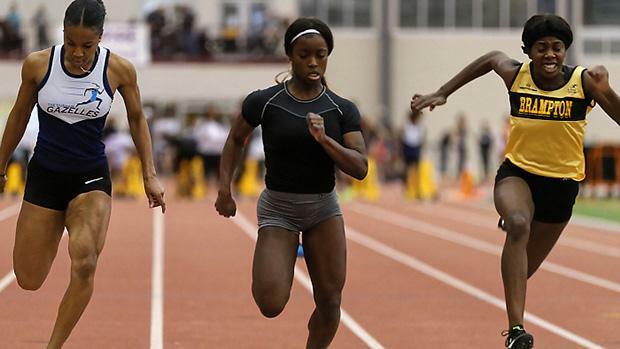 On Sunday, Brebeuf Jesuit's Semira Killebrew tied Steiner's SPIRE Institute facility with her 7.36 victory. The senior won by a tenth of a second over Ontario Elite's Elizabeth Martin and 0.16 seconds over The Gazelles' Makenzy Pierre-Webster. Pierre-Webster would go on to win the 200m Dash in 23.96, edging out Killebrew. Killebrew is now just a few ticks off the US No. 1 Tamari Davis and her 7.31 best. 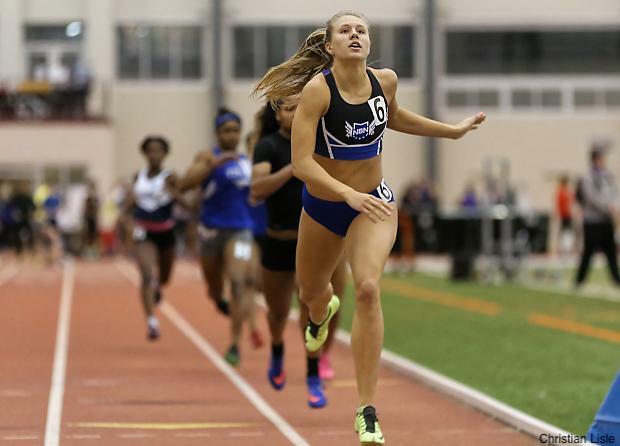 She now sits at third in the country and is proving that she will be a major contender for the indoor national title in the event moving forward.